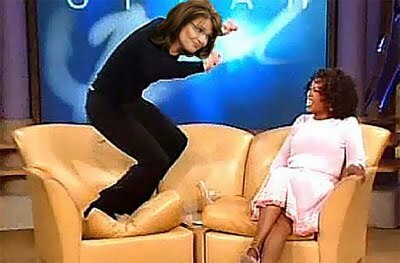 The Ostroy Report: Palin Forces Oprah Off Television! No I don't. It has been rumored that Oprah was going to leave way before Palin was due to come on. Have you noticed how much the Dow has risen since Sarah Palin, in a bold act of self-sacrifice, left her job as governor? Sorry about that. I do hope Palin runs and wins the nomination. I look forward to an Obama second term.